Feel like the queen as you look gorgeous and shine brightly in this lovely diamond pendant made with white marquise and white sapphire diamond. 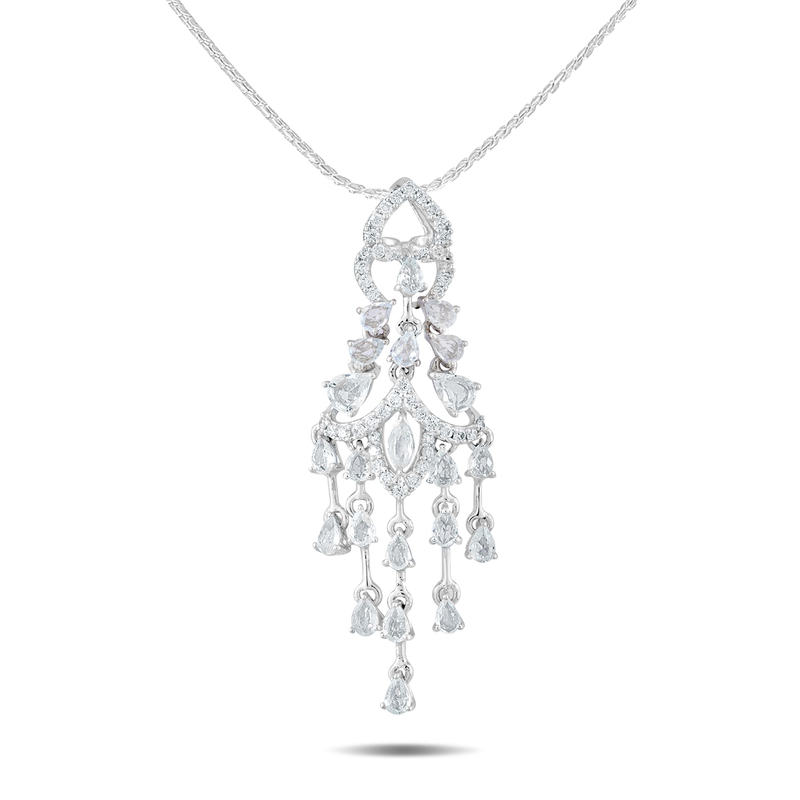 This diamond pendant is made of 18 KT gold and 0.25 CT diamond. Wear it with the white sapphire diamond earring to flaunt your beauty and collection.